Information technology parks abbreviated as IT parks are designed as hub of firms that are engaged in offering information technology and science services. The infrastructure of IT parks is specifically designed to deliver high speed connectivity and telecommunication services. India has many world class IT Parks such as Electronics City- Bangalore, Magarpatta- Pune, HITECH City-Hyderabad, Infotech Park- Mumbai, DLF IT Park-Noida, Cyber City- Gurugram and many more in major Indian cities. IT Park advertising falls under niche advertising, where the target audience is limited to business men, professionals, employees, visitors and expatriate workers. The advertising strategy at IT Park is different than advertising strategy used at any other place as the target audience here is educated, working class, informed and decision makers. Therefore, the communication message has to be very impactful, candid and visually appealing. Which brands can make use of IT park advertising? What is target audience at IT parks? IT parks most include male employees, which are decision makers for any finance related services or products that might be needed on personal front. The target audience at IT Park consist of employees with annual income of approximately 5-10 Lakh. The age group of the employees varies from 25-30 while the visitors fall between the age group of 31-45years. These demographics help the advertisers to build an advertising campaign that resonates with the target audience and motivates them to buy a product or service. How to promote product or service at IT parks? 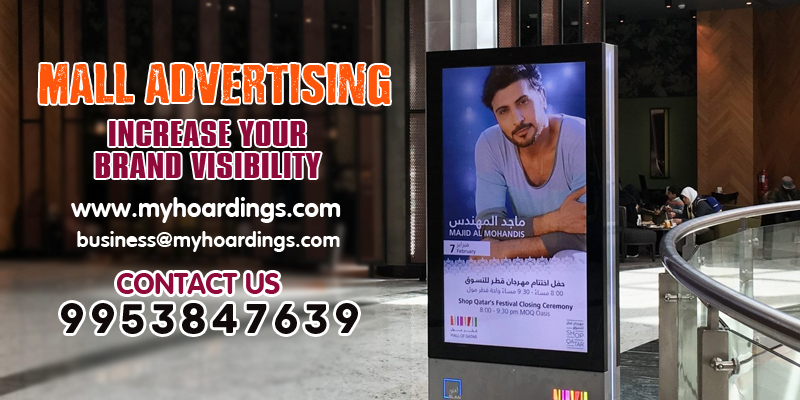 Brands can adopt different advertising mediums such as Pole kiosks, Signage, Elevator door ads etc for reaching the target audience. What are the benefits of IT Park advertising? Cost-effective: The communication message is designed for a specific set of audience and not for masses. Promotes brand loyalty: The target audience at IT Park is brand conscious and does not include brand switchers. Increased sales: As the target audience has high purchasing power and mostly include decision makers, the brands promoted at IT parks are more likely to have higher sales. As stated above IT park advertising is part of niche advertising where the target audience is bounded by common factors such lifestyle, income, purchasing power, brand consciousness and income levels. Only selective brands and services can benefit themselves from IT park advertising. These brands must have a significant motive to promote themselves that a potential buyer can relate to. Previous PostMake your brand buzz with railway station ads!